I put on one of my favourite suit jackets, this morning – a charcoal, alpaca and wool blend, waist-length, fitted number with a high collar, wide belt, balloon sleeves and Victorian button-closure, by Antonio Berardi. This couture suit by Bouchra Jarrar has the same romantic vibe that drew me to the Berardi suit (which is completed by the best fitted and flared trousers in my closet). I am adoring this return to ladylike luxe, lately. Lady over lazy, my dears – embrace the return of the softer suit! 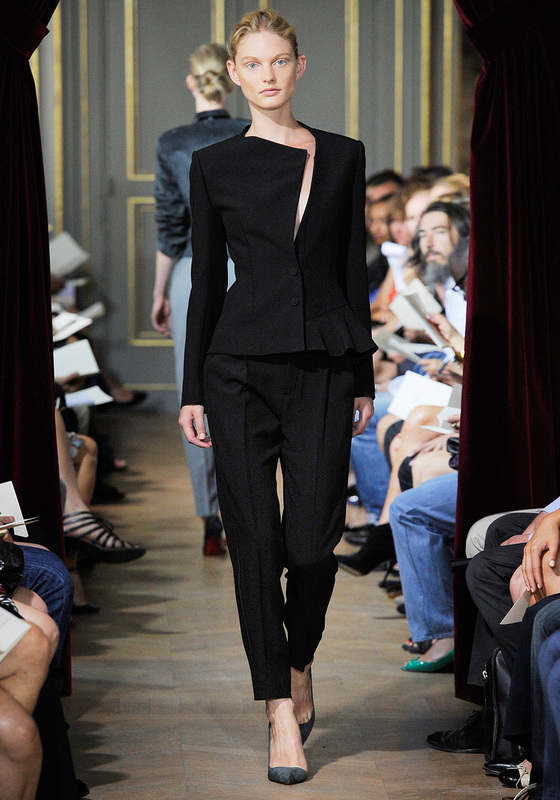 This return suits me just fine - Bouchra Jarrar Fall 2011 Couture.